The subject of physician compensation is a hot one as of late. With all the changes in the financial sector of healthcare, and the push to save money, there has likewise been a focus on how- and how much- physicians are being compensated. A major change that has already begun to take place in many healthcare systems nationwide is Accountable Care Organizations (ACOs). While it’s likely too soon to know if they will work long term, in theory they will reduce the tendency of ‘silos’ in healthcare and lead to better coordination of patient care. Ultimately, these changes will usher in more cost savings- healthier patients will stay out of the hospital. While it might seem counterintuitive – how will doctors make money if their patients are healthy? – the reality is, even though the US is spending around 17% of the GDP on healthcare, population health measures don’t support the theory that spending more money means healthier patients – in fact, compared to other developed nations, our patients aren’t very healthy at all. The traditional payment model is slowly but surely fading into the background of healthcare history and making way for new models – but slowly is the operative term here. A solid percentage of healthcare providers are still operating under the traditional model – where providers are paid for the tests or procedures ordered regardless of their pertinence to the patient – and therefore healthcare spending continues to spiral. Under this model, it isn’t profitable for physicians if their patients are healthy and stay out of the hospital. Because we’ve operated under this model for so long, this assumption remains and it has informed the overall structure of our care models for several decades. With more and more healthcare organizations moving away from this model, however, sooner or later we’re likely to see a shift not only in payment – but paradigm. Another way that payers are trying to leave fee-for-service models of payment behind is through the use of “bundled payments.” In this model, providers receive money up front for the cost of a single episode of care. In more specialized areas, where the cost is likely to be more or less the same for any patient undergoing a standardized treatment or procedure, this method would make sense. 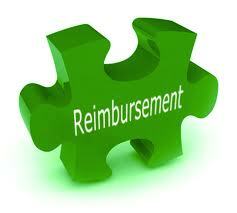 But for more general and, perhaps, complex patients -such as seen in primary care- bundled payments may not work. For many Americans, Medicare is the only kind of healthcare coverage they have – without it, they would go uninsured. Many who are just over the threshold for being eligible, as a result of these standards, do go uninsured because they cannot afford private insurance and are not employed by a company that offers benefits. Medicare has begun contracting with private insurance plans to offer coverage to its beneficiaries through a plan they are calling Medicare Advantage. Through this plan, beneficiaries will receive coverage so long as they agree to stick to a certain, predefined network of healthcare providers. The predefined network isn’t altogether arbitrary and, to be part of Medicare’s network, the hospitals and providers much submit quarterly quality measures. Medicare then assesses their performance and rates them – using stars from 1-5 to denote quality (not unlike how restaurants are rated). Participants within the plan, then, are privy to some transparency about the hospital where they receive treatment. 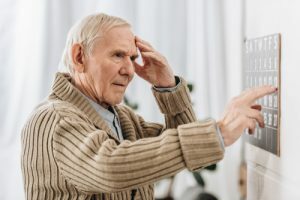 This model has provided many with a lot of hope about healthcare’s future – but currently, though it shows promise, most Medicare beneficiaries are still opting for traditional fee-for-service model plans. One of the fastest growing industries within the healthcare industry is technology. This is reflected on a national level, where technology continues to be the driving force behind everything from health, to education, to car manufacturing. The revolving door of new technology (think about how frequently Apple puts out a new product, or new phone) is intense for any industry, but perhaps healthcare has the most to lose if they resist the opportunities to integrate. 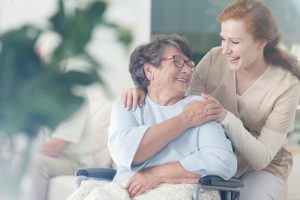 A major concern for the industry at the moment is coordination of care – and technology is the force that will allow this dream to become a reality. Utilizing it properly to achieve these outcomes, however, is no simple task. Electronic medical records are theoretically a dream – but in practice, they are often clunky and are much harder for the older generation of physicians to embrace. New doctors, who are never without their tablets and smartphones, are willing to integrate new technology but many have grown increasingly frustrated with the industry’s stubborn nature. For this reason, it may be hard to keep healthcare desirable to the next generation; they don’t want to find themselves trapped in a stagnant industry. For patients, too, the advent of various technologies in the last two decades has allowed them to more actively participate in care – sometimes much to their physician’s chagrin. While having access to unlimited health information via Google may be helpful to some, for many patients and their doctors it is a bone of contention. 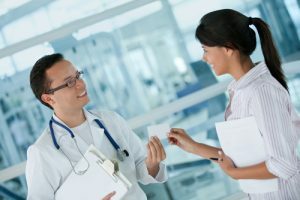 While some patients may have the health literacy necessary to parse out this information and turn it into a useful dialog with their physician, the majority do not. The average American reads at a middle school level, meaning that even basic medical jargon might as well be a foreign language. 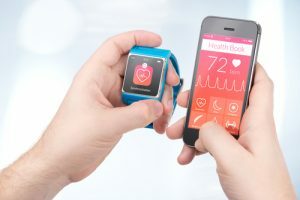 But even for health literate patients, technology has allowed them to almost demand to have more control over their care. Doctors are no longer necessarily the gatekeepers of information – and many of them are displeased at being displaced and are not chomping at the bit to welcome patients in partnership. While many of these new changes are exciting and have promise for revamping our ailing healthcare system, it will also require enormous leaps of faith from not just payers and hospitals, but providers and patients. 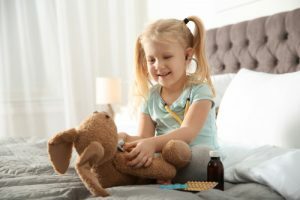 The lines between administration and clinical practice, to patients and families are becoming more and more blurred as the industry evolves – and physicians especially are finding themselves stuck in the middle of frazzled administrators with lots of demands and patients who are older and sicker than ever before. When you put it like that, it makes you think doctors aren’t paid nearly enough to be that stressed.